"...Even the grandest stories, full of epic adventures, are built of everyday experiences. Mary Zimmerman creates theater magic in much the same way, bringing the world's foundational tales alive with little more than the evocative power of the human voice and simple but imaginative stage tricks." "...Jason’s mythical quest for the Golden Fleece becomes the most thrillingly imaginative action-adventure swashbuckler of this or any L.A. theater year as A Noise Within treats audiences of all ages to Mary Zimmerman’s Argonautika: The Voyage Of Jason And The Argonauts." "...The other problem I hinted at earlier is a much deeper and broader issue than just how it affects this production (though that is deep enough), and it is rooted in the absence of rigorous vocal training for the stage that afflicts most younger American actors everywhere. It makes them seem more amateurish than they are, and in a cast this big, it can too often feel like everyone is speaking Valley Girl." "...A Noise Within‘s production of Mary Zimmerman’s, Argonautika tells an ancient tale, but the storytelling is anything but traditional. Director Julia Rodriguez-Elliott employs dance, silks, puppets, and impressive staging to bring the Argonaut’s journey to life, a thrilling spectacle with action, comedy, pathos, and some truly lovely acting." "...Mayberry makes a stalwart hero as Jason and easily carries the show on his broad shoulders. Stuart provides much comic relief as the egocentric and dull-witted Hercules as does Blumenfeld as the old and cantankerous Pelias. Gulner's Medea runs the gamut from love-struck virgin to vengeful wife and mother. Jones and Miller make a dynamic duo of strong female gods. 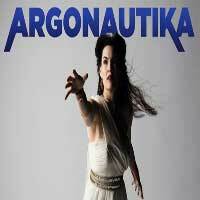 Book your trip now with the Argonauts in Argonautika. It is sure to be one of the highlights of 2019 theatre in Southern California." "...You might well leave convinced that anything less than this barely-contained mayhem would feel disappointing. As director Julia Rodriguez-Elliott says, "I think it's fair to say the play is wildly theatrical." Right on the money, and well worth yours." "...A fresh retelling of the classic Greek myth The Voyage of Jason and the Argonauts, ARGONAUTIKA is currently on repertory at A Noise Within (ANW) alternating with OTHELLO and THE GLASS MENAGERIE. Don't let the idea of watching Greek mythology scare you; ARGONAUTIKA is easy to understand and meant to be enjoyed by audiences of all ages. The story was adapted by playwright Mary Zimmerman, and it's directed at ANW by Julia Rodriguez-Elliott."